There are many people in sports to whom the word “icon” has been attached, too many perhaps, as it diminishes the importance of the word for the cases where they truly apply. Such as in the case of Gary Player, an icon; one of the greatest players and international ambassadors the game of golf has ever known. Known around the globe as “The Black Knight,” the South African legend won nine Major Championships during his career, as well as nine more Majors on the Champions Tour. Player was only 29 years old when he won the 1965 US Open, making him the first, and still the only, international player to win all four Majors. 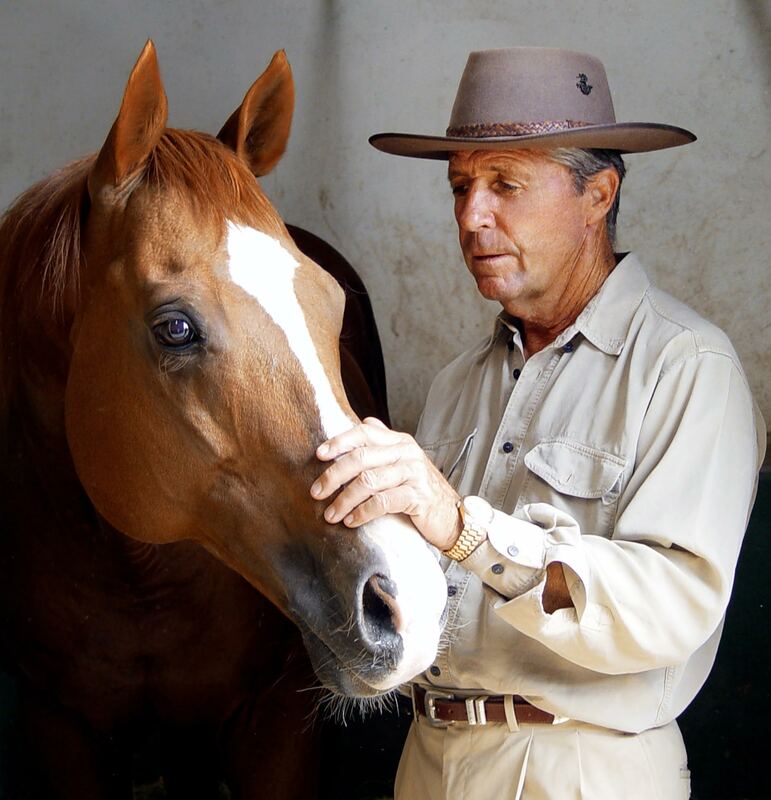 In 1974, he was inducted into the World Golf Hall of Fame; it is very likely that no one in history has traveled more miles playing the game of golf than Gary Player. Throughout his career Player was also a fitness junkie, his nickname was Mr. Fitness, and recently in celebrating his 81st birthday, a worldwide campaign #81SitUps4Gary went viral and people around the world were trying to do 81 sit ups in honor of Player’s birthday. Of course, the reality is Player can not only do 81 sit ups at 81 years of age, but he does many, many more….every single day. 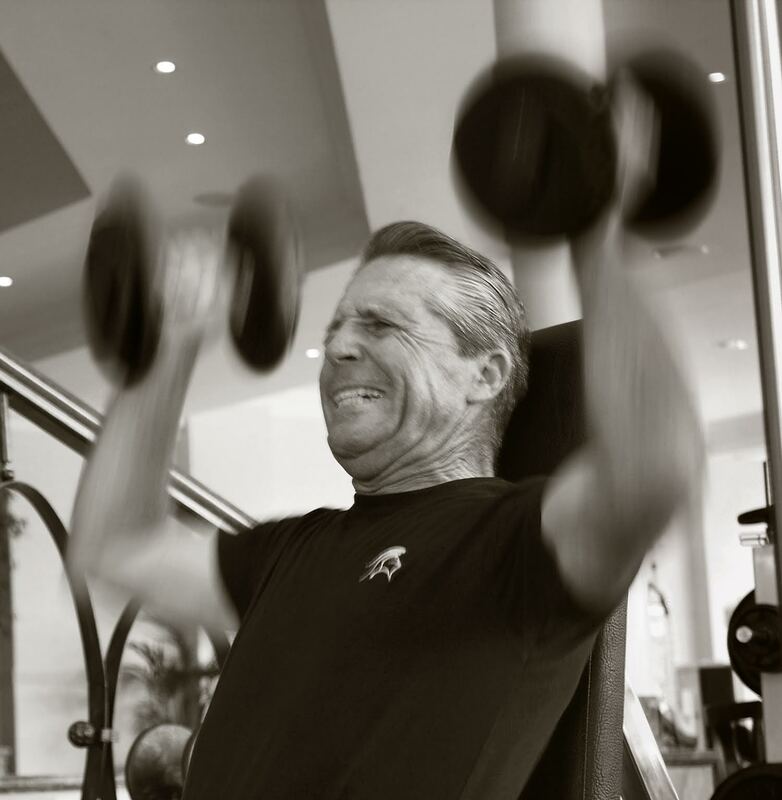 The Overhead Compartment was lucky enough to walk a few holes with Gary Player and even took the #81SitUps4Gary challenge while interviewing one of the greatest ever to swing a club. OC: You’ve traveled all over the world playing golf, what are your top three favorite golf courses? GP: If I were to choose only one course to play again it would be the Old Course at St. Andrews because it is the home of golf. Cypress Point and The Links at Fancourt in South Africa also come to mind. OC: Of all your championships, which one means the most to you? GP: That’s tough to answer. It’s almost like asking me which of my six children or 22 grandchildren is my favorite. It’s really a toss-up between my first Major victory at the 1959 Open Championship when I was 23, my US Open victory in 1965 when I won the career Grand Slam, or my third Masters victory when I came back from seven shots behind the leader in the final round to win the tournament when I was 42 years old. OC: What’s a typical day in the life of a professional golfer? GP: It depends who you are asking as there are many different levels of professional golf. And it certainly has changed throughout time. Professional golf for me during the beginning of my career in the 1950s was far from glamourous. Over 40 hours of travel to get to tournaments in America. No private jets. I even slept on a beach the night before The Open in Scotland. Not typical of today’s professionals. OC: Which country has the most passionate golf fans? GP: The people of Scotland are more passionate about golf than any other I have witnessed. Arnold Palmer and I once went out late for a practice round at St. Andrews. Nobody was on the course. Well, word spread quickly, and after just a few holes there were thousands of people following and cheering us on as if it were a Sunday finish. Truly amazing to be a part of. OC: How have you seen golf change from when you first began to play? GP: Equipment, course condition and travel are completely different. The ball goes 50 yards farther. Greens and fairways are pristine. No spike marks on the greens. There are even machines to rake the bunkers. And as I said before, travel has become so much more efficient, making it much easier to play around the world. OC: You’re known as Mr. Fitness, before it was fashionable to be in shape, what’s your secret to staying motivated? GP: Rest is rust. If I stop moving, exercising and eating healthy, it is going to greatly affect my quality of life. If I keep motivated and don’t get some disease, there is no reason I won’t live to be 100. OC: People around the world were taking part in the #81situps4Gary, wishing you birthday wishes with 81 sit ups. Do you actually do 81 or more sit ups a day? GP: (Laughs) Only doing 81 sit-ups would be a very lack luster day. But 81 in a row is a nice challenge no matter who you are. It was a fantastic birthday present to see all the people around the world wish me a happy birthday by exercising. Did you complete your 81? OC: What is your normal daily work out? GP: My normal workout routine when I am not traveling consists of various types of leg, lower-back and neck stretching, sets of one-legged squats, 1000 mixed crunches (the last set done with extra weights), several core exercises, weighted wrist roles, leg press, various dumbbell exercises, and concludes with sprints on the treadmill. Yoga and meditation also is very important and I do both regularly. OC: How often are you on an airplane? GP: In 2016, I have logged nearly 400,000 miles of air travel so far. I travel about seven months out of the year, and the rest I try to spend on my farm or with my family. OC: What is the secret to staying fit on the road? GP: Having a plan, and sticking to it. You can’t say I might workout this day or go for a run that day. You need to have a strict workout schedule, as well as setting goals for yourself so you can work to achieve them. OC: Do you follow a special diet? GP: I have moved more towards a plant based diet with not too much meat. And when I do eat meat, it is organic. Fresh vegetables and fruit from my garden does the trick. OC: How do you think golf can appeal to the younger generation and stay current? GP: We need to speed up the pace of play and have more fun. Nobody wants to spend five or six hours playing one round of golf. This relates to courses becoming too long because they are forced to keep up with the advancement of equipment. Gary Player Design is combating this by building a Short Course, which is a 12-hole, family style course that can be played in two hours, barefoot with just a few clubs. OC: You have a foundation called The Player Foundation whose “mission is to provide quality education for underprivileged children and strengthen impoverished communities”, which has raised more than $62 million dollars. Why is this your passion? GP: Can you tell me who won the 100 meter dash at the 1960 Olympics? Me neither. Champions in sport are eventually forgotten. Records are made to be broken. I do not know when my golf career may be lost in in time, but if I can impact millions of people’s lives around the world, I will have done my part as a human being. I want to be remembered as someone who did everything in their power to help their fellow man, especially children. OC: You’re from Johannesburg, South Africa…. What are three things no visitor should miss? GP: It’s hard to choose just three but a few that come to mind are Gold Mine Tour at Gold Reef City, play Blair Atholl, dine at Casalinga, and visit the Cradle of Mankind and Apartheid Museum. OC: How would you describe your relationship with Nelson Mandela? GP: He was our Great Father of the Nation. South Africa’s leader of all people. I loved him and was privileged to spend time with him and witness the love and compassion he had for everyone. Truly a special man indeed. GP: The most recent issue BloodHorse Magazine. Thoroughbred Racehorse breeding is my passion. I love to study to genealogy and bloodlines of these great athletes. There is something about the outside of a horse that is good for the inside of man. Of course, I also take my skipping or jump rope which you can use anywhere, anytime too. Gary Player, please use care upon departure as items may have shifted in The Overhead Compartment during our journey. Thanks for choosing us for your travel tips! Have a wonderful day!